The Rheinmetall/BAE Systems joint venture will play a major role in the delivery of the British Army's new Mechanised Infantry Vehicle (MIV) and other strategic combat vehicles programmes. The UK may be leaving the EU, but defence co-operation between the UK and EU member states looks set to continue with Rheinmetall and BAE Systems announcing the creation of a joint venture based in the UK for military vehicle design, manufacturing and support. Rheinmetall will purchase a 55% stake in the existing BAE Systems UK-based combat vehicles business, with BAE Systems retaining 45%. The establishment of the new joint venture (JV) is subject to regulatory approvals, which are anticipated to be completed in the first half of 2019. Once the approvals have been completed, the JV will be known as Rheinmetall BAE Systems Land (RBSL). In addition to managing and growing the existing combat vehicle support business, the intent is for the new JV to play a major role in the delivery of the British Army’s new Mechanised Infantry Vehicle (MIV) and other strategic combat vehicles programmes. 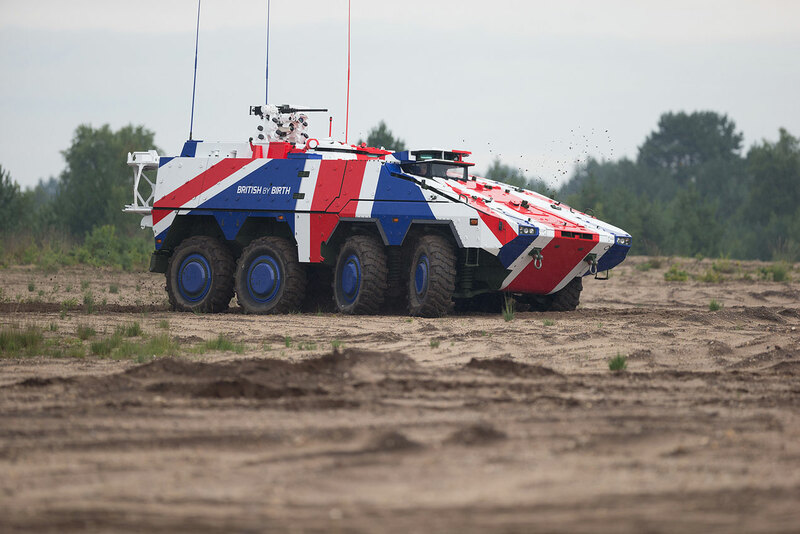 The UK Ministry of Defence announced last year that it would rejoin the Boxer programme and not run a competition for its MIV programme. Both Rheinmetall and BAE Systems were awarded Challenger 2 Life Enhancement Programme Assessment Phase contracts from the UK MoD. Rheinmetall is drawing on its experience of upgrading the “technical and tactical performance” of the Leopard 2 main battle tank, its ongoing investment in tank R&D, and its offer to involve UK suppliers in the LEP Assessment Phase. The original Challenger 2 entered service with the British Army in 1998 and was designed and built by Vickers Defence Systems, which later became BAE Systems Land & Armaments. As the original designers of the Challenger platform, BAE Systems are keen to win the Challenger 2 LEP in order to retain manufacturing and design skills in the UK. “If the UK MoD wants to have a part or any influence in what comes after Challenger 2, we've got to have that capability in the UK to build what comes next,” Simon Jackson, campaign leader for Challenger 2 at BAE Systems told DPI. By joining forces with Rheinmetall, arguably BAE Systems wins either way, even if the Challenger 2 LEP doesn't go their way. The combination of Rheinmetall’s military vehicles technology and products with the additional capabilities and products brought to the JV by BAE Systems, such as Trojan, Terrier, Warrior, military bridging and the AS90 self-propelled artillery system will create a European market leader in the military vehicle sector. Jennifer Osbaldestin, Managing Director of BAE Systems Land UK business, said that joining forces with Rheinmetall in the UK provided renewed purpose for the company's vehicles business and will allow it to deliver products, services and technology that help land forces excel in their vital roles.